Above the medieval village of Dolceacqua we have this perfectly maintained large country house for sale 150 m². The country house has been built on a top location with wide views on the valley, the ancient village of Dolceacqua and the Mediterranean Sea. The country house consists of 3 floors whereof the central part is a spaces an light living room and open space kitchen. The large folding doors leads to the terrace and the garden. Via a small corridor you can access the bedroom, bathroom and the laundry room. Two separately lockable doors leads to two comfortable guest apartments which are used for B&B purposes. Every guest apartment consists of living room / bedroom with a small kitchen and a bathroom. Both guest apartment have a private entrance. A spiral staircase brings you at the attic with a bedroom and storage. At the ground floor you will find a large garage/workshop of 40 m². The country house is surrounded by a large 7.000 m² garden with a perfectly landscaped lawn, beautiful flowers and palm trees. A paved path leads to the lower part of the garden with the swimming pool. In an other part of the garden is an oil producing olive orchard with an hidden rustico of 50 m² which can be renovated to extra guest house. The beautiful country house has been built in 2008, is very well maintained and has central heating, double glass with shutters, satellite TV and internet access. The country house is located at a 10 minutes’ drive from the cosy city centre of Dolceacqua with all primary facilities like bars, restaurants, shopping etc. besides that it is just a 20 minutes’ drive to the beautiful beaches of Camporosso Mare and the lively city of Bordighera. 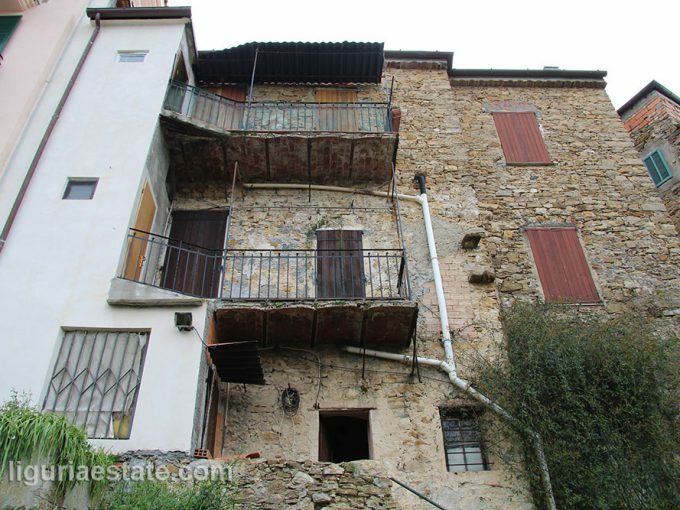 A great investment in one of the most beautiful villages of Liguria for personal use or as rentable holiday property.